Abrams, a native of Virginia, began a boxing career in the amateur ranks before turning professional in the mid-1930’s. Abrams was an excellent boxer who moved well and slipped punches with the best of them. Abrams fought against Billy Soose and won three times. He also fought against Sugar Ray Robinson, Rocky Graziano and he was France’s Marcel Cerdan’s first American fight in New York’s Madison Square Garden. 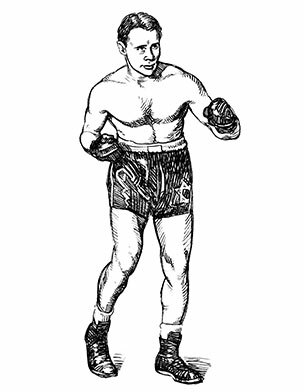 In November of 1941, Abrams — then Middleweight Champion of New York State and Washington, D.C. – went 15 rounds against Tony Zale for the World’s Middleweight Championship. He is a member of the World Boxing Hall of Fame. The Washington Post called Abrams “the best middleweight boxer of his time.” Abrams served in the U.S. Navy during World War II.